From guest blogger Ryan Tollefsen in Anchorage Alaska. collective bargaining power for additional discounts and to simplify the process. Get more details about grass-roots initiatives in Maine and NY and learn more about additional support for residents in your area today. 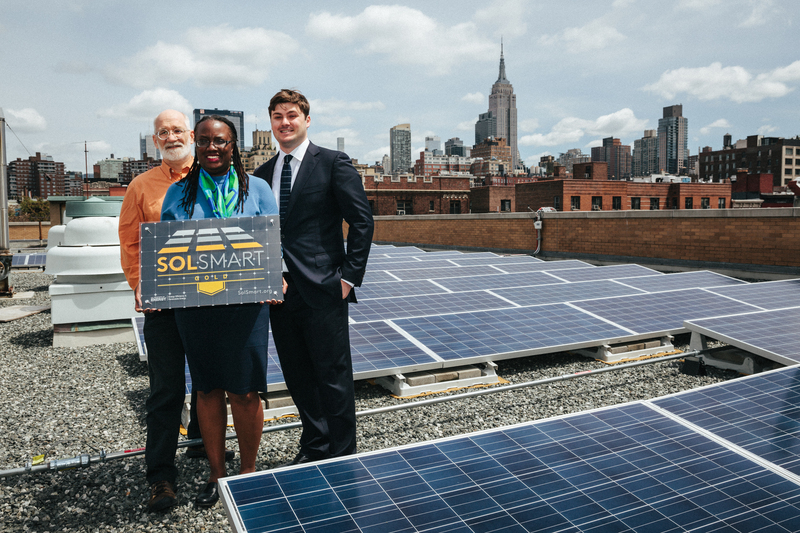 Solarize Freeport is one group that has formed that may serve to make clean energy more accessible and affordable. The aim of this group is to create a buying club and purchase in bulk to reduce the cost of solar systems. Residents are pooling resources to meet this objective. The idea is not new as pooling resources has been done in Maine by farmers and fishing co-ops in the past. During a town hall meeting, people learned that the cost of an average solar system for residential use can be reduced by about a third when taking into account factors such as bulk buying and federal tax breaks. The system will pay for itself in 10 years and can provide free electricity for another 20 to 30 years. As energy suppliers regularly raise prices, a source of consistent low-cost energy is a great attraction. In addition, solar energy can work in areas that are cold and moderately sunny. Germany is the leading solar producer and Maine has a similar climate to that area. The community in Augusta, Maine is looking into ways to help more households afford and benefit from solar energy. Residents may have a hard time getting questions answered and even having a company do a site assessment to determine viability for a solar panel system. Adel Sarhan of Park Slope found this to be the case when he reached out for estimates to installers in the area. Sarhan was interested in going solar to support the environment and to benefit from expiring incentives. His initial experience left him discouraged. interested in moving forward, projects are bundled together and bids are solicited from pre-vetted solar installers. The group then chooses one of the installers to complete the projects. Sarhan is part of one network of 5 homeowners. The system he chose will cost more than $28,000 but after state and federal tax credits, rebates and a city property tax abatement, will end up costing approximately $7,500. Initiatives such as this can make it easier to recoup initial purchasing and installation costs and provide homeowners with more leverage when it comes to finding, pricing and installing a solar system from a reputable installer. assessments and create a better system for more efficiency when it comes to zoning issues or permitting of properties in urban areas. Those taking part in these new initiatives and who get site analysis are much more likely to have a solar system installed than individual homeowners looking for an installer on their own. discounts for those who choose to commit to going solar. As more prospective homeowners learn of solar initiatives in their area, the trend may continue to grow. 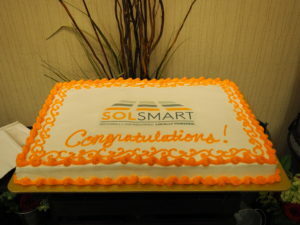 Last summer Ypsilanti was recognized as a Gold SolSmart city. 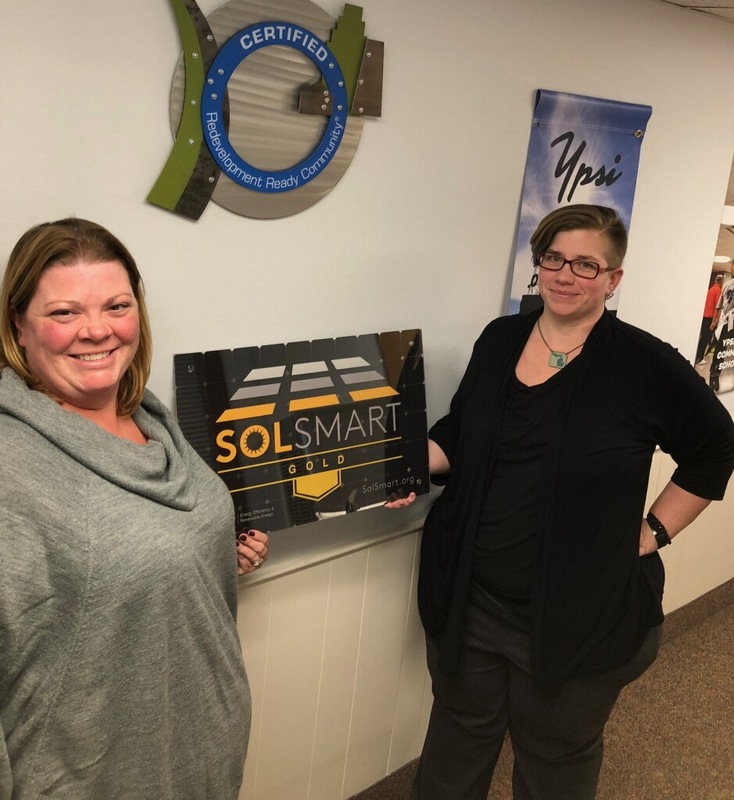 This made Ypsi the first and only city in Michigan to receive this award for their progress installing solar power throughout our community. 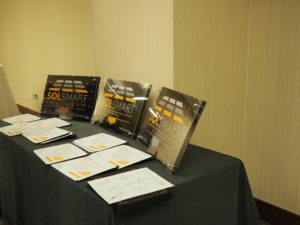 The Gold award is achieved by accumulating points in different categories that makes your city “solar ready”. You need 60 points for Bronze, 100 points for Silver, and 200 points for Gold. The final point tally for Ypsi was 360 points! The SolSmart team also awards cities that excelled in specific categories. At last month’s ICMA (International City/County Management Association) annual conference in San Antonio, Ypsilanti was given awards for excelling in the “Planning, Zoning, and Development” and “Community Engagement” categories. We have broken through the myth of “too cloudy, too costly”. Let’s keep the momentum going and put more solar power in Ypsilanti. A few more megawatts and we’ll be the national leader for solar power per capita. Awards to be handed out. Beth Ernat (Director of Economic Development) and Bonnie Wessler (City Planner) with Ypsi’s Gold SolSmart Award. (YPSILANTI, MI) June 1, 2017: The City of Ypsilanti is pleased to announce that it has been awarded a Gold designation for supporting solar energy development by SolSmart, a national organization dedicated to helping communities reduce barriers to solar energy growth. To achieve the Gold designation, a community must take steps to streamline solar panel installation permitting, track key metrics regarding solar installation, and commit to encouraging local solar installations. Ypsilanti is the only community in Michigan to achieve this award, and one of only 58 communities nationwide.